It's fair to say that the General Data Protection Regulation (GDPR) is one of the most important and sweeping laws pertaining to information technology that has ever been enacted. Originally adopted in April 2016, the GDPR won't come into force until May 2018, but its contents are already having a major impact worldwide. Because the GDPR is a European Union regulation, many companies outside the EU might assume that there's no need for them to pay attention—but nothing could be further from the truth. Any organization that processes the personal information of EU citizens and residents must comply with the GDPR. As such, any company affected by the GDPR needs to formulate a strategy well before the law takes effect, including a digital platform for compliance. The GDPR requires all affected businesses to store and process customers' personal data only with the individual's consent, only when necessary to the conduct of the business and only for as long as is necessary. Another major development that the GDPR enshrines into law is the so-called "right to be forgotten," which gives individuals the ability to purge their personal data from tech platforms such as Google and Facebook. Companies that fail to comply with the GDPR face stiff penalties: up to €20 million or four percent of the firm's global revenue, whichever is higher. In addition, if a data breach occurs at the company, the affected individuals must be informed within 72 hours of the breach's discovery. Related topic: HOW WILL YOU COPE WITH DATA SUBJECT ACCESS REQUESTS FROM DAY 1 OF GDPR? How Can Companies Comply with the GDPR? Although the potential fines are severe, many businesses are still struggling or lagging on GDPR compliance. IT research firm Gartner predicts that by the end of 2018—seven months after the GDPR comes into force—more than half of the affected companies will not be compliant with its regulations. Forrester is even more drastic with its predictions: not only will 80 percent of businesses be non-compliant, but half of those will intentionally not comply as a result of carefully analyzing the risks and benefits involved. 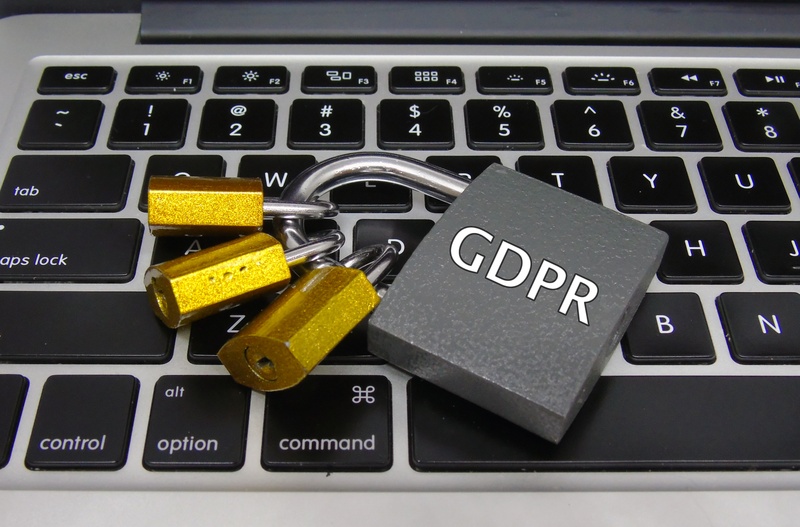 The GDPR requirements may appear daunting, but they also represent an excellent catalyst for businesses to revitalize their approach toward data collection, storage, privacy and security. Rather than fearing or dreading the GDPR, organizations should see it as an opportunity to pursue further digital transformation. For example, handling "right to be forgotten" requests quickly means that organizations must know exactly what data they collect on their customers and where it's being stored at all times. This will be a major incentive for businesses with sloppy recordkeeping to clean up their acts, uniting previously disparate systems under one roof. In addition, automating the processes surrounding "right to be forgotten" requests will help businesses continue to operate efficiently in a post-GDPR world. Companies can even harness the power of transformative technologies, such as low-code platforms, in order to deal with the challenges of the GDPR. By using a low-code platform, even non-technical employees can create applications that automate and integrate business processes and improve transparency and visibility. As technology continues to develop at a breakneck pace, individuals seem to have less and less control over where their personal data ends up. The GDPR is an attempt to hand back some of that control to EU citizens. By complying with the GDPR, businesses will not only become more customer-focused and responsive, they also have the opportunity to enhance their digital strategies.